Perhaps in 2020 the GOP's Presidential nominee will begin to heal the damage that Trump has undeniably done to the party's Cuban-American coalition. For many Cubans, Obama has become the manifestation of increased tourism and thus increased opportunities for private business. As more private licenses are granted, more Cubans can seize the opportunity to move towards being a "have" instead of a "have-not." Although the media commotion over your visit to Cuba has diminished, I'm sure that Cuba will continue to hold your attention in the coming months. So I thought this would be an opportune moment to write you about someone who was apparently much on your mind during your historic visit. I was among those invited by the White House to be part of President Obama's historic visit to Havana over the past couple of days. While the President's entourage was largely a congressional delegation, representatives of various business concerns, and Cuban-Americans who have lived the pain of separation from their families all these long six decades, it was my honor to be recognized as a non-Cuban who cares deeply that the hope to reunite our two peoples is on the near horizon. Just as the U.S. must recognize and respect Cuba's national sovereignty in order to achieve a "normalization" between nations, for its part the Cuban government must recognize that its national sovereignty -- like that of any nation -- is based on the popular sovereignty of each and every one of its citizens whom it has preferred to treat as subjects for decades. The opening of rights may be slow and difficult, and the political changes will depend on the capacity of Cubans to achieve them. 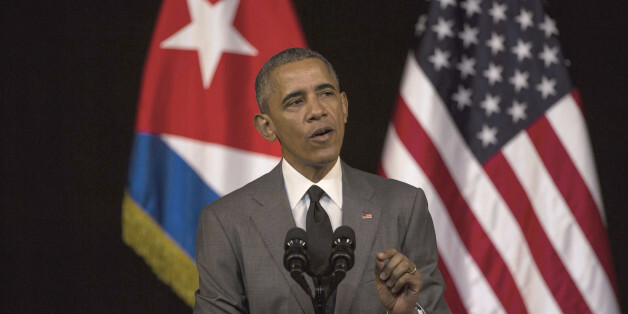 Barack Obama will not make changes in Cuba, but he's facilitating them. Will this trip help push Cuba toward becoming a more open and democratic society? Again, I believe it will. America is always at its best when we lead by our example as the world's most successful democracy. 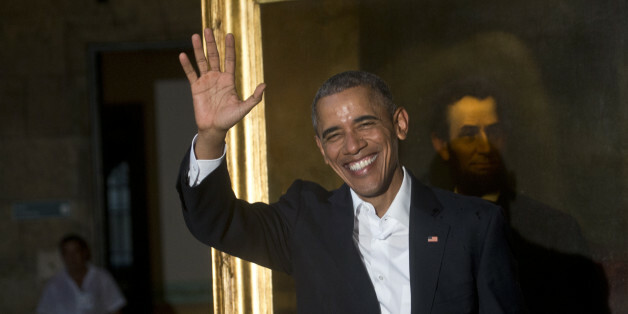 Day one of Obama's official agenda ends with a top-level meeting with President Raúl Castro followed by a state dinner for the Obama family. I'm curious to discover whether the meeting is a mere formality or of they will do any real negotiation. In the U.S. the obvious hindrance is the embargo, which is codified into law and can only be changed by the Congress, which just recently found the courage to begin to act. In Cuba, the slow pace and limited reach of reforms have a similar undermining effect. In just a few days, President Obama will head to Havana, Cuba, becoming the first sitting president to do so in nearly 90 years. It's an historic trip -- one that gives the President and First Lady a chance to meet with the Cuban government and hear directly from the Cuban people. Hopefully the Cubans won't try to feed President Obama their take on American food because the Cuban take on American food shouldn't be a thing. If they commit such an injustice however, here is how the President can recover his Cubanidad and eat semi-authentically in Cuba. 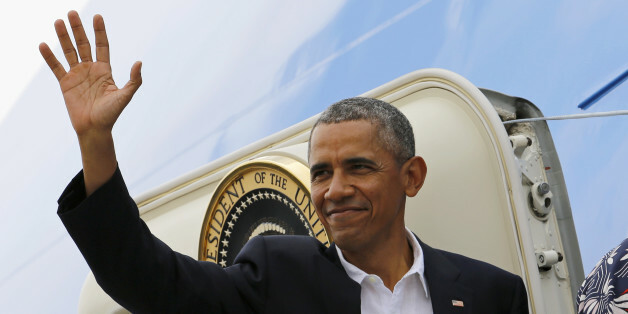 We should celebrate President Obama's trip to Cuba as a historic moment. After years of a failed policy, it is time for our country to engage with Cuba and ensure our foreign policy encourages opportunity that is good for both Americans and Cubans. The U.S. work to normalize relations with Cuba is still just beginning. The U.S. certainly cannot rest on its laurels, and the President indicated as much in his recent State of the Union address when he repeated his call to Congress to support the new policy with Cuba. 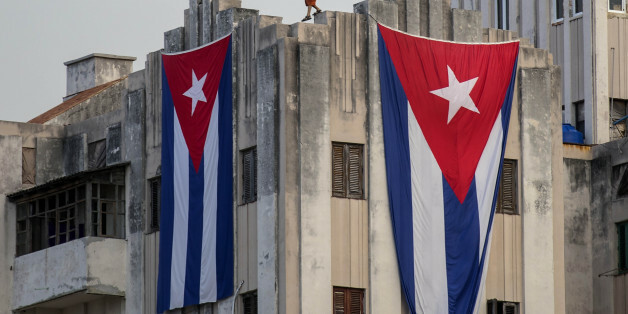 Implementation has proceeded slowly, and both U.S. and Cuban officials have described the process as akin to peeling an onion arduously, layer after layer. This is not to say that the Internet will open the floodgates of information. China has hundreds of millions of people online but it also has systematic censorship. It is too soon to know to if Cuban authorities will emulate this model. But even if they do, the Internet can still have a transformative effect. So You Want to Visit Cuba 'Before It's Ruined'? This view ignores the very real possibility that many of the qualities that make Cuba such a special destination can be maintained and even enhanced through sustainable development. In the face of constant economic instability and state control, cuentapropistas are the defining social and economic catalyst for Cuba's future. They are men and women who display incredible motivation and creativity in their business ventures, and are willing to take risks, often at great personal cost. Now more than ever, leaders must show responsible judgement and respect for human rights and ethical values, rather than reaching for scapegoats and short-term solutions. One year ago, I was sitting in the bowels of the Kennedy Center watching President Obama announce that the United States and Cuba were "moving towards normal relations." There was chatter all around me and I wanted to whip around and shout, "Shh! This is a historic moment!" On December 17, 2014, Presidents Obama and Castro publicly vowed to improve ties between our nations. Nevertheless, in the 50-plus-years that have passed without direct engagement between our nations, U.S. businesses have sprouted without permission to trade with a neighbor just 90 miles off our shores. As Cuban entrepreneurs start to enjoy greater access to the American private sector, they will undoubtedly gain an abundance of insights that will help their businesses scale and succeed. Trump's Change of Heart on Cuba: Master Stroke or Political Suicide? So what lies behind Trump's apparent about-face? Is his statement that the opening of U.S.-Cuba relations "is fine" just an off-the-cuff comment, a brief aside in a long interview that covered many other topics? Or does it signal a change in his political calculations? If we're serious about strengthening civil society and helping Cuba's budding private small business sector continue to grow, it's time for the White House to stop forcing "people-to-people" travel to be hindered by third-party brokers.